EJIL: Talk! – China’s ‘One Belt, One Road’ Initiative: Can A Bilaterally-Negotiated ‘Globalization 2.0’ Internalize Human Rights, Labor, and Environmental Standards? 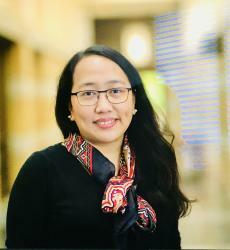 Home International Economic Law Bilateral Investment Treaties China’s ‘One Belt, One Road’ Initiative: Can A Bilaterally-Negotiated ‘Globalization 2.0’ Internalize Human Rights, Labor, and Environmental Standards? “China’s intention in Africa is benign. Beijing has no intention to colonize the continent, dictate the politics or economy of the local countries or deprive them of development opportunities. On the contrary, China truly sees itself as Africa’s “brother” and hopes to help African countries develop through infrastructure projects. Beijing seeks an approach different from that of the West, one that avoids the “meddling” with the internal affairs of African countries through conditional aid. In the last several years, China has contributed significantly to the economic growth of some of Africa’s poorest nations. China wants to see a prosperous Africa, which is beneficial to China’s interests as well. “The obligation to respect [the International Covenant on Economic, Social and Cultural Rights] is also violated when States Parties facilitate a violation of the Covenant rights by third parties, including business actors. For instance, forced evictions often occur in the context of investment projects, accompanied by the State failure to intervene or provide victims with access to remedies. In a number of cases, States Parties have seized land that is crucial to certain individuals or communities and to their enjoyment of Covenant rights in order to make it available to investors and businesses. Furthermore, a State failure to adopt and implement effective measures to prevent businesses from violating Covenant rights may constitute a violation of the obligation to respect. Covenant rights may be abused by, for instance, lowering the criteria for approving new medicines or granting exploration and exploitation permits for natural resources without giving due consideration to the potential adverse impacts of such activities on the individual and community’s enjoyment of Covenant rights. The Committee also notes that corruption of public officials often facilitates and enables such failure by States Parties to respect the Covenant rights. In addition, judicial corruption results in impunity for business actors and injustice for victims without access to effective remedies. The obligation to protect means that States Parties must effectively prevent the infringements of economic, social and cultural rights in the context of business activities, both domestically and, to the extent compatible with international law, extraterritorially. The obligation to protect requires States Parties to adopt legislative, administrative, educational, as well as other appropriate measures, to ensure effective protection against Covenant rights violations linked to business activities. This obligation also requires States Parties to ensure that businesses exercise due diligence in order not to impede the enjoyment of the Covenant rights of those who depend on their business activities or who may be negatively affected by them. As part of this obligation to protect, States Parties must also provide victims of such business abuses with equal and effective access to remedies. 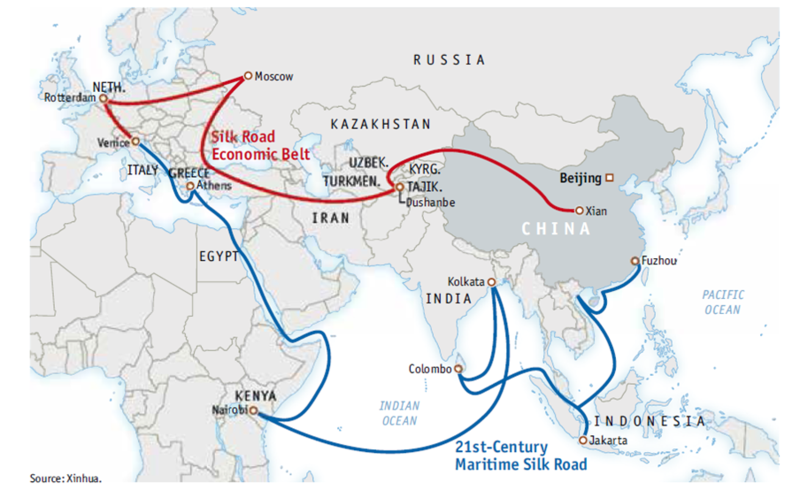 Finally, it bears stressing that the kind of long-term infrastructure projects contemplated in the One Belt, One Road initiative will expectedly carry various kinds of risks – project risks, political risks, credit or currency risks, social risks, among others – and it is important to determine the lines of accountability between China and all the countries participating in the One Belt, One Road initiative, particularly with respect to issues such as project risk sharing; risk-mitigation measures permitted under foreign investment project contracts; host country oversight over the content and implementation of foreign-financed infrastructure projects; political risk insurance; possibilities for shared technology transfers, among others. Many (if not all) of these projects will most likely be covered and/or protected within the terms of China’s (currently 145) bilateral investment treaties with developing countries covered in the One Belt, One Road initiative. In light of recently demonstrated African trade deficits with China; the alleged ‘dark side of Chinese infrastructure’ supposedly due to inefficiencies and other project pathologies; China’s critiqued track record on infrastructure projects in countries such as Venezuela, Sri Lanka, and Myanmar (among a corpus of infrastructure projects deemed to have “destroyed, and not generated, economic value”), it may also be prudent to ask the extent to which there would be any Chinese sovereign control, oversight, influence, or any lasting preferential arrangements for China over these ‘trans-regional corridors’ after infrastructure projects are completed, especially if they stand to strategically alter the terms of the level playing field of foreign market access envisaged under the world trading system. Would the One Belt, One Road initiative be another demonstration of “China’s emerging institutional statecraft“? It would also be an appropriate time for One Belt, One Road initiative recipient countries to review and revisit the terms of their bilateral and/or regional investment treaties with China, to determine the extent to which their regulatory powers as host States of investment are affected (if at all); to determine their institutional, practical, and legal ability to defend against any possible investor-State claims in the future over the long-term implementation of One Belt, One Road initiative projects; and to evaluate the suitability of their current regulatory environments and institutions to the long-term infrastructure concession and connectivity projects contemplated. What Kind of Development Will the One Belt, One Road Initiative Create? The One Belt, One Road Initiative may indeed lead the world towards its “Fourth Industrial Revolution”, but the lack of other truly competitive sources of foreign financing is what ultimately reinforces China’s monopolistic advantage over foreign-financing of infrastructure and connectivity projects. It should also serve as a prudential warning for developing countries, to be vigilant about their own regulatory environments and institutional capacities and to avoid “neocolonialism” achieved through negotiating disparities in bilateral arrangements. Directly internalizing international economic, social, and cultural rights, international labor agreements, and international environmental agreements – (to many of which China is already a State party, see here, here and here) into the long-term domestic regulatory frameworks governing One Belt, One Road projects is one way of redressing the bargaining imbalance for developing countries and ensuring mutual accountability for all global partners in China’s push as a ‘responsible power’ driving ‘Globalization 2.0’ bilaterally through the One Belt, One Road initiative. In December 2016, China publicly articulated its philosophy, contribution, and practice on the right to development. It is also up to China’s partner countries in its One Belt, One Road initiative to be active investment partners conscious of their duties to ensure the protection of this “inalienable human right [to development] by virtue of which every human person and all peoples are entitled to participate in, contribute to, and enjoy economic, social, cultural and political development, in which all human rights and fundamental freedoms can be fully realized…[which] also implies the full realization of the right of peoples to self-determination, which includes, subject to the relevant provisions of both International Covenants on Human Rights, the exercise of their inalienable right to full sovereignty over all their natural wealth and resources.” (Declaration on the Right to Development, Articles 1.1 and 1.2). Calling for the transparency of One Belt One Road projects, and the internalization of human rights, labor standards, and environmental duties under international law in all projects, is one concrete way for developing country states partnering in the One Belt, One Road initiative to realize the right to development of the 4.4 billion persons that stand to be affected by this global program of development for generations to come.